I picked up my copy of this book from a secondhand bookshop at Byron Bay while on holiday a couple of months ago. I think I chose this book for two reasons: firstly, it was hot at the beach, and the cool water on the this book cover looked inviting. Secondly, I had long heard of Iris Murdoch and the curious me, or perhaps more honestly, the part of me that fancies myself a bit of an intellectual type, wanted to read something by her. The point being, that this may not have been the best choice for a time of relaxation; Ms Murdoch demanded that I engaged the old brain and do some real work. It took me a while to finish. Iris Murdoch was an Anglo Irish author of the twentieth century. She was also a philosopher, and this novel contains some interesting themes, including: that even with the aid of philosophy, and self knowledge, human interactions can get very messy indeed. The Philosopher's Pupil begins with a dramatic argument between a husband and wife, driving home after a dinner party. This is not in itself original ground, but the whole novel, and it is a long one, flows from the consequences of this argument. We are introduced to the almost completely unlikeable character of George McCaffrey, the husband, and his waiting-for-martyrdom wife, Stella. The morning after the dramatic events of the night before, the reader awakes with George in bafflement, and is introduced to the remainder of his uniformly insufferable family who are prominent members of Ennistone, the fictitious English spa town where the story plays out. 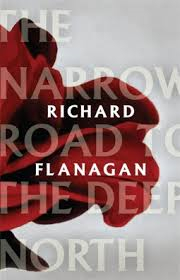 This novel began to make sense and work for me when I realised it is very darkly comic. These people are so horrible they are fascinating. They are all self serving, superficial and petty. I also liked the way Murdoch used the actual bathhouse in Ennistone, as this wonderful device to bring all the characters together. Everyone in this quaint town, including the visitors, congregate at the spa to swim and bathe, in all weathers. It is an enormous cast of characters, including a philosopher returned to Ennistone for a visit. Murdoch creates mayhem, mixing past hurts, closely kept secrets and self delusion with manipulation and misunderstanding on a grand scale. With persistence I ended up enjoying parts of this novel. The ending was a bit weak for me. With an Epilogue titled "What Happened Afterwards" Murdoch, no doubt with her tongue firmly planted in her cheek, proceeds to update the reader with life outcomes for her main players. This annoyed me. But by then I felt I had really achieved something by just finishing this novel. 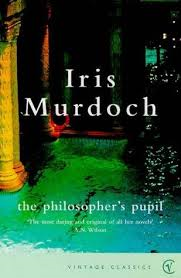 Have you read any Iris Murdoch novels? Maybe The Sea The Sea which won the Booker? Some time will pass before I pick up another of her novels I think, but she is mighty and unique, and I would like to think I could go there again.